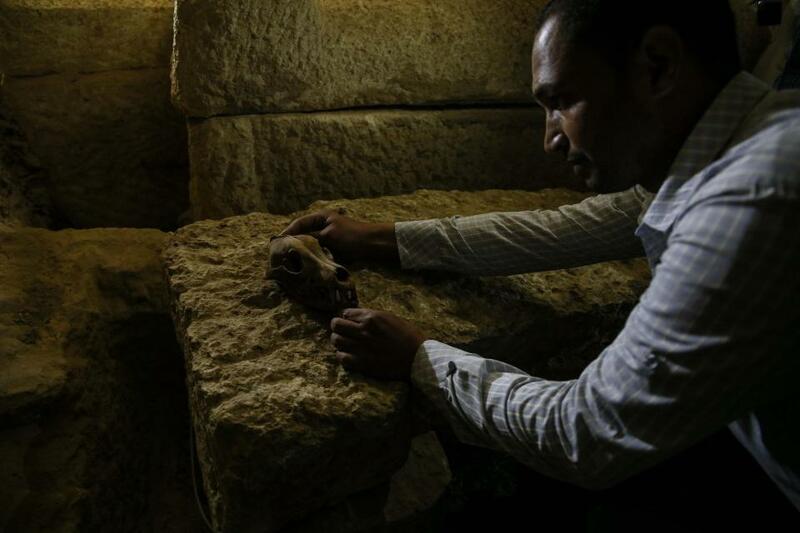 Ancient Egyptian cemetery with 40 MUMMIES and a necklace saying ‘Happy New Year’ is found along with 1,000 statues in the Nile Valley. “THE MUMMIES RETURN,” The Sun says. 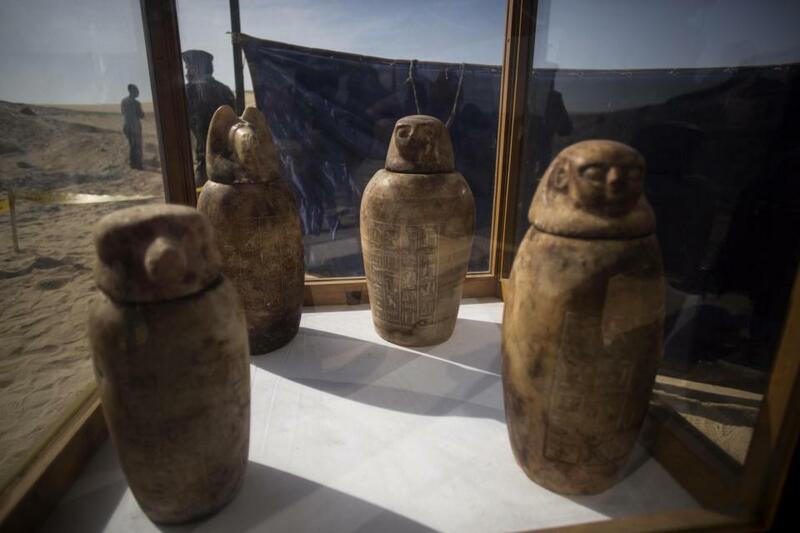 The necropolis was discovered near the Nile Valley city of Minya and includes four well-preserved jars designed to hold the mummified internal organs of the tomb’s owner. 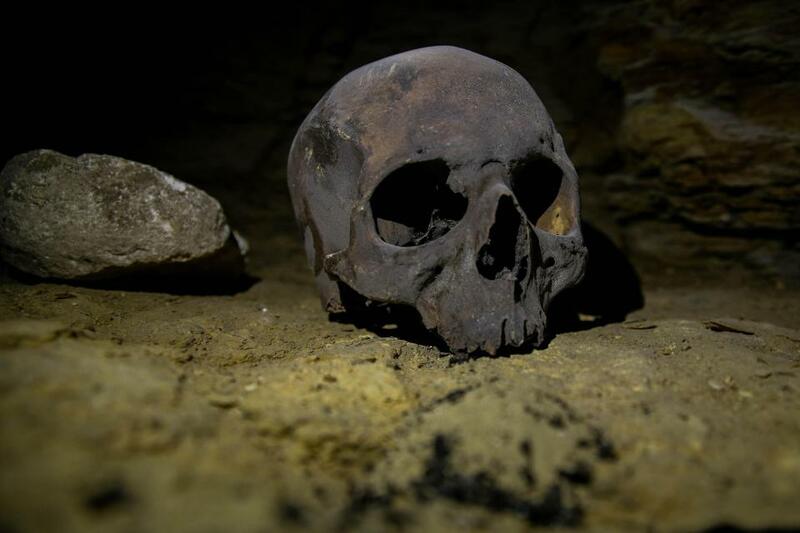 AN ancient cemetery containing 40 mummies and a necklace inscribed with the message “Happy New Year has been in Egypt. 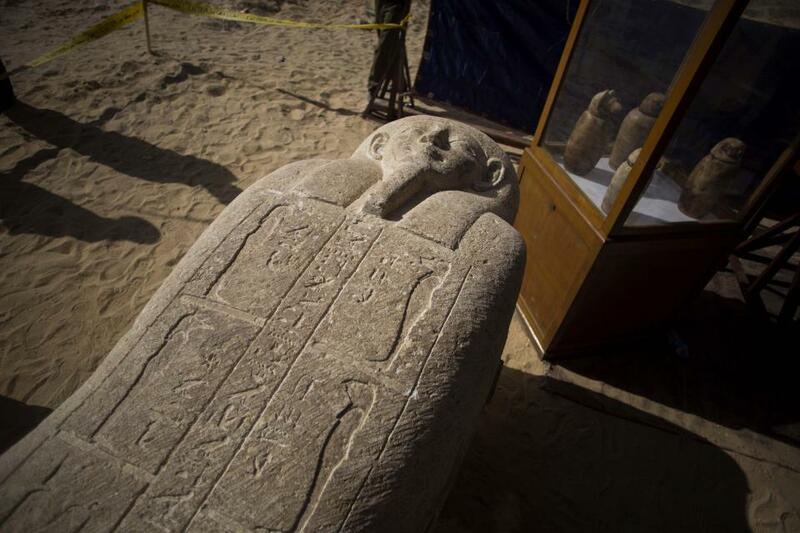 The country’s Antiquities Ministry announced today the discovery of the necropolis near the Nile Valley city of Minya, south of Cairo. 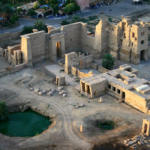 The large cemetery, which holds a range of family tombs and graves, is located north of Tuna al-Gabal area. 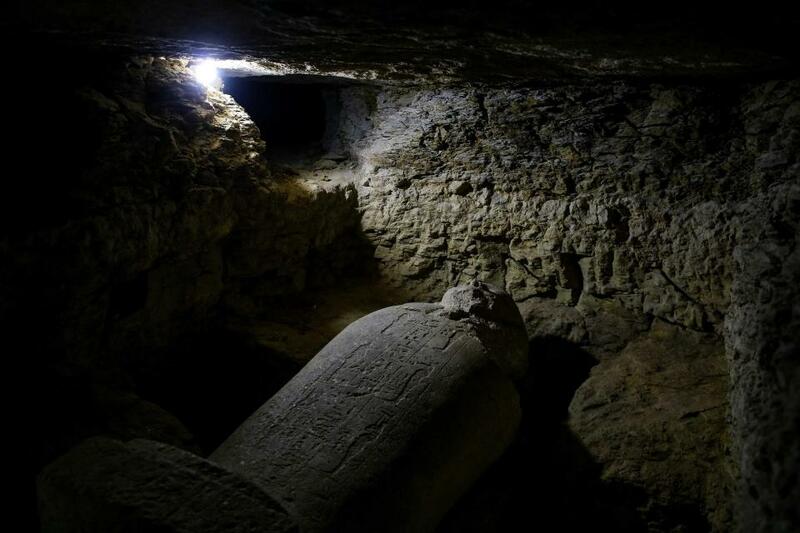 Archaeologists started excavation work in the area late last year and found tombs belonging to priests of Thoth, the ancient god of the moon and wisdom. 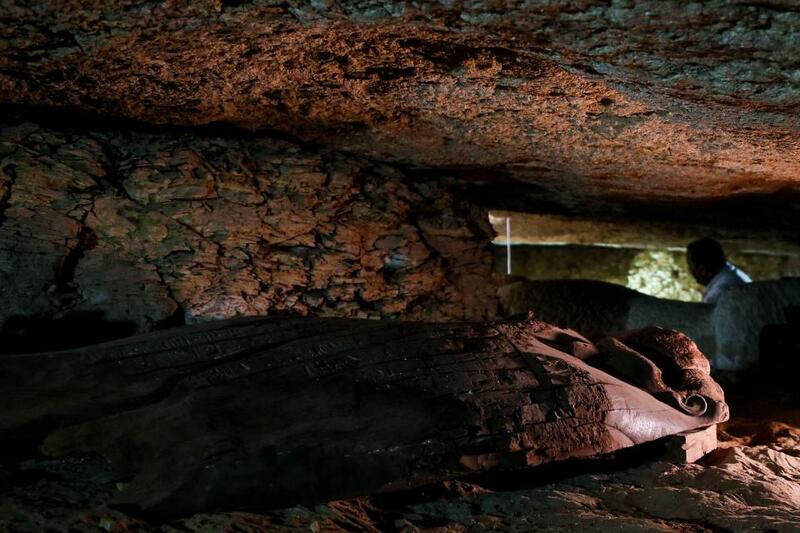 One tomb includes more than 1,000 statues and four well-preserved alabaster jars designed to hold the mummified internal organs of their owner. The priest’s mummy was also found decorated with blue and red beads and bronze gilded sheets. 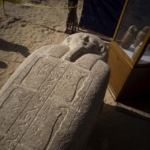 Archaeologists also uncovered 40 coffins, known as sarcophagi, believed to belong to the priest’s family members, some bearing the names of their owners in hieroglyphics. 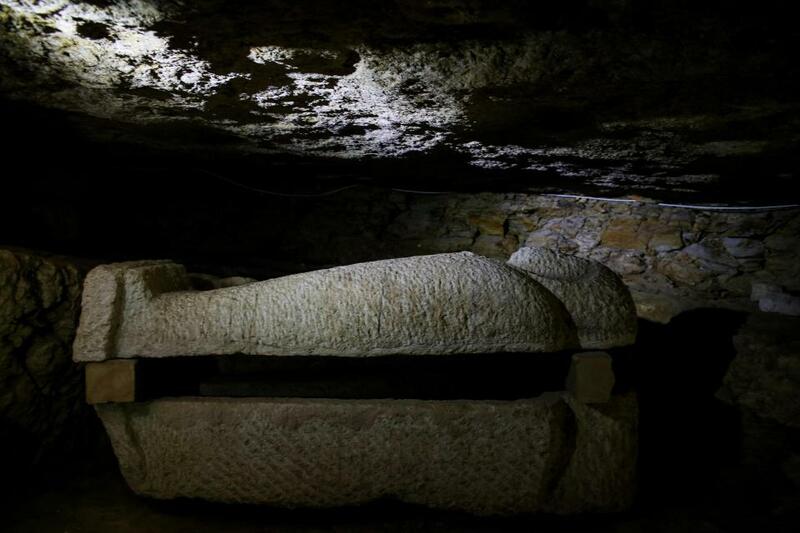 Another tomb includes several coffins, statues depicting ancient priests and other funerary artefacts. Mostafa Waziri, head of the archaeological mission, said that four amulet necklaces were found with semi-precious stones were found. One of the amulets was engraved with the phrase: “Happy New Year,” reports the Egypt Independent. Waziri says eight tombs have been uncovered so far and he expects more will be discovered soon. 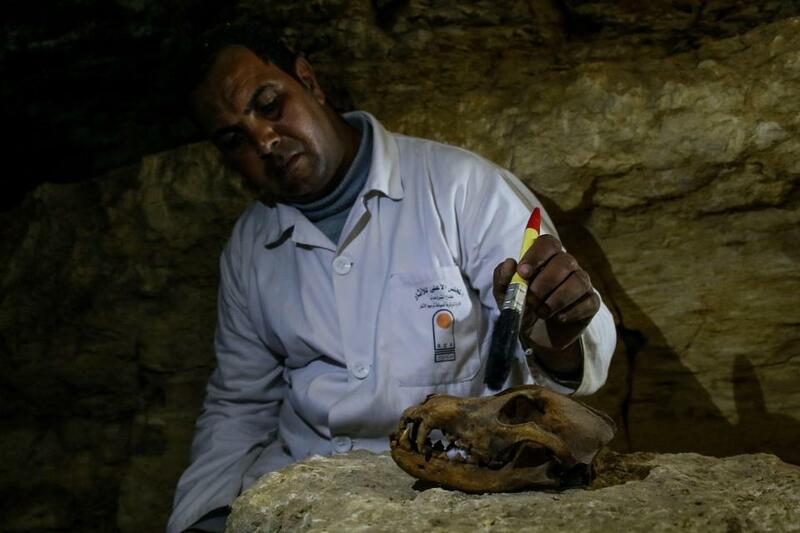 It is the latest discovery in an area known to house ancient catacombs from the Pharaonic Late Period and the Ptolemaic dynasty.